Love this Korean group or Sandara Park? 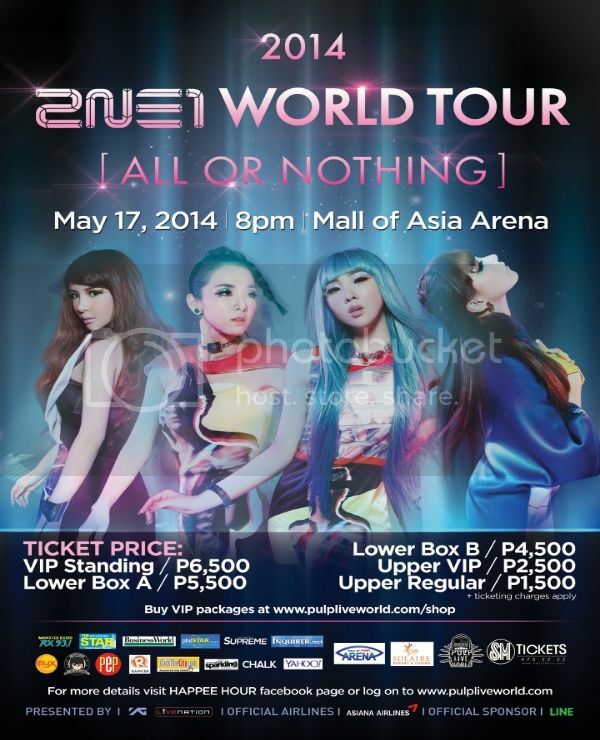 This is a chance to win 2 2NE1 Manila Concert World Tour VIP tickets! To join, enter through Philstar's Rafflecopter. You have until May 14, 2014! Click here to join the Philstar.com 2NE1 World Tour Manila Concert VIP Ticket Giveaway.